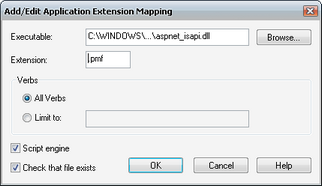 If you are using IIS version 7 or higher, skip this step. You can find this tool by opening the Control Panel and then opening the Administrative Tools folder. Navigate to your virtual directory in the tree view. 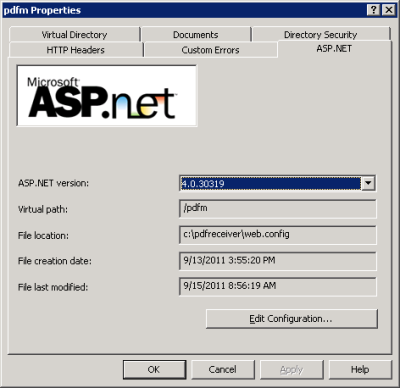 Right-click the virtual directory node and select Properties. The properties dialog pops up. Select the Virtual Directory tab. 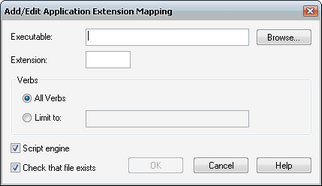 Click Add to add a new application mapping. The dialog that pops up when you click Browse, will initially only show .exe files. Change the file filter to DLL to find the required files. 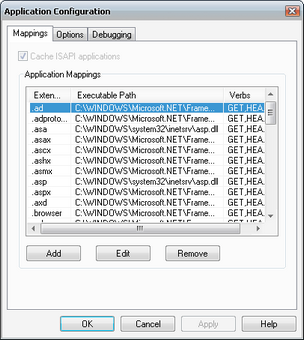 The ASP.NET version displayed in the paths below may not match your own. If this is the case, substitute the provided folder name with the highest version that contains the aspnet_isapi.dll file. In the Extension field enter .pmf. You may experience a bug in IIS where the OK button is disabled and you do have all fields filled out. Tab back and forth between the various fields to re-enable it. 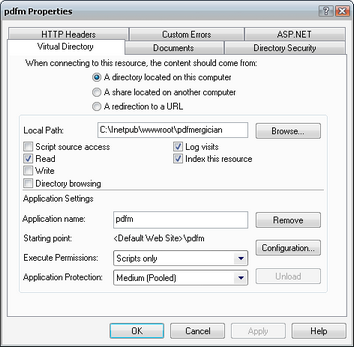 Back in the Properties dialog, select the ASP.NET tab. Make sure the ASP.NET version is set to the highest one available to you.